Posted on Friday, July 21st, 2017 at 1:20 pm. This team paired their 2014 Element 116 Bordeaux blend with a duck confit taco in a duck fat tortilla with a plum and mint pico de gallo. 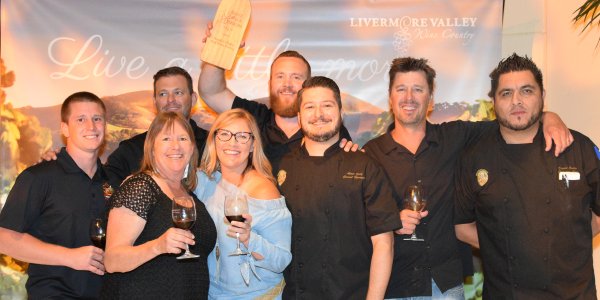 This team paired their 2014 Cabernet Sauvignon with smoked brisket French dip layered with horseradish cream, chipotle blackberry sauce atop a baguette. 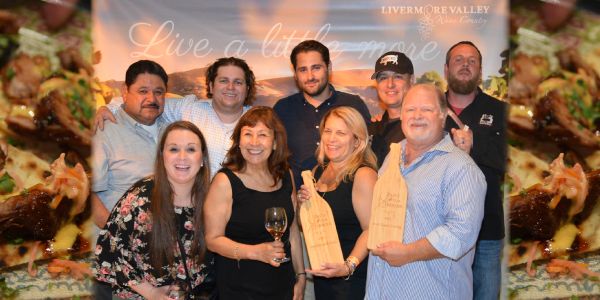 This team paired their 2016 Vintner’s Select Pinot Grigio with seared pork belly, local stone fruit pico de gallo and green goddess sauce. 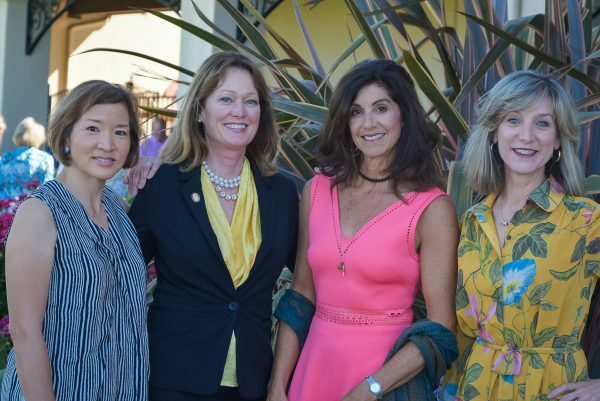 Our panel of judges consisted of Carolyn Jung, Food and Wine Writer for FoodGal.com, Catherine Fallis, Wine Reviewer and Author for PlanetGrape.com, and Laura Levy Shatkin, Editor-in-Chief of Napa Sonoma Magazine. 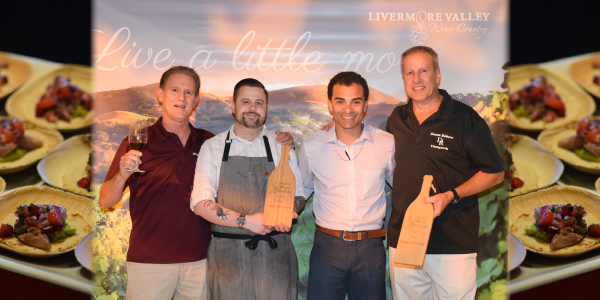 The judges tasting was hosted by Chris Chandler, Executive Director for Livermore Valley Winegrowers Association. While they may be the experts, our guests voted the following as their favorites. 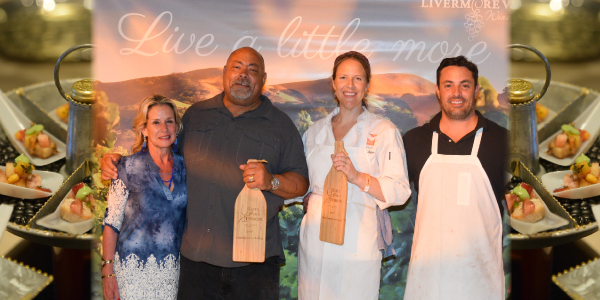 This team paired their 2014 El Loco Rojo with a char siu taco of marinated pork wrapped in a tortilla and topped with a honey sriracha aioli and cilantro. 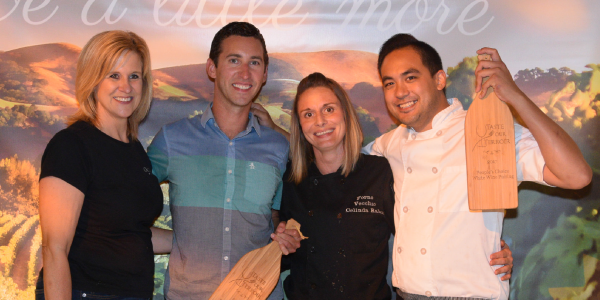 This team paired their 2015 Chardonnay with seared scallops with candied bacon and cauliflower puree, garnished with spicy citrus microgreens. Again, thank you to everyone who attended and participated. We hope that we’ll see you out at our participating restaurants and wineries. Click here for the full list of teams. 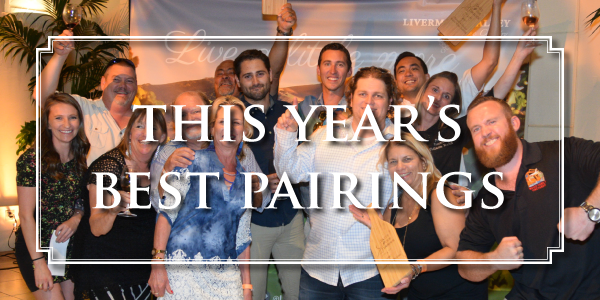 Save the date for next year: Taste Our Terroir will be held July 19th-22nd. Cheers!